Grand Canyon National Park: National park in northern Arizona. Monument Valley: Park in the Arizona–Utah border. Hoover Dam: Dam in the Arizona–Nevada border. Havasu Falls: Waterfall in the Grand Canyon, Arizona. Grand Canyon Skywalk: Horseshoe-shaped bridge with an excellent view near Grand Canyon, Arizona. Horseshoe Bend: National military park near Page, Arizona. Phoenix Zoo: Zoo in Phoenix, Arizona. Desert Botanical Garden: Botanical garden in Phoenix, Arizona. Camelback Mountain: Mountain in Phoenix, Arizona. The Wave: Sandstone rock formation near the Arizona–Utah border. Meteor Crater: Meteorite impact crater in northern Arizona. Saguaro National Park: National park near Tucson, Arizona. Biosphere 2: Earth systems science research center in Oracle, Arizona. Antelope Canyon: Canyon east of Page, Arizona. Heard Museum: Native culture and art museum in Phoenix, Arizona. Oak Creek Canyon: River gorge in northern Arizona between Flagstaff and Sedona. Taliesin West: National historic landmark outside of Scottsdale, Arizona. Arizona Science Center: Science museum in Phoenix, Arizona. Wildlife World Zoo: Zoo and aquarium in Litchfield Park, Arizona. 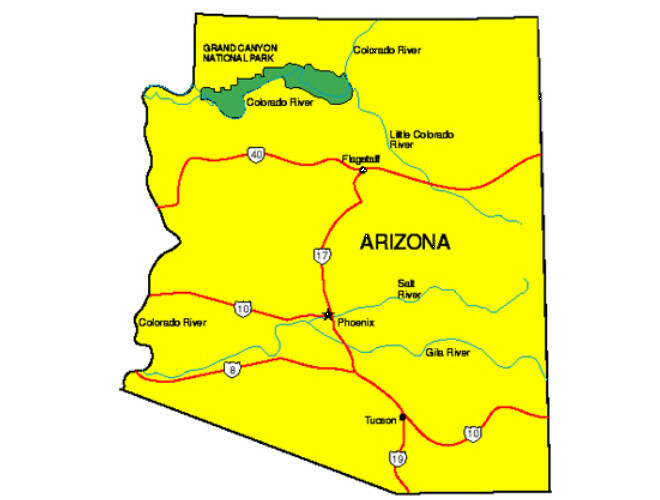 Arizona's name originated from the Spanish name, Arizonac, which in turn was derived from an Indian word, alî ṣonak, meaning "small spring." 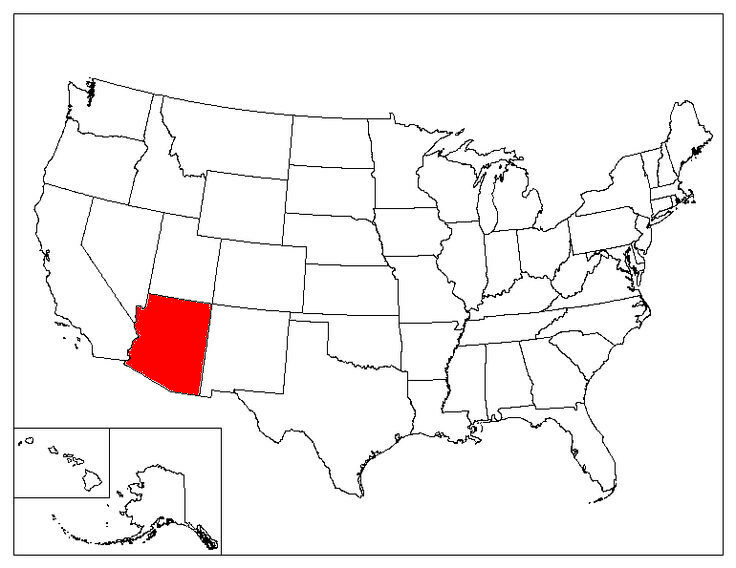 Arizona is the only state with an official state neckware, the bola tie. Arizona is the largest copper producing state in the Unites States, accounting for 60% of all copper production in the country. In 1930, Clyde Tombaugh discovered Pluto from the Lowell Observatory in Flagstaff, Arizona. "Skydive Arizona" is the largest skydiving center in the world. 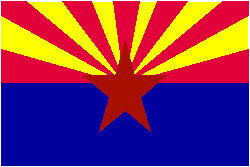 Arizona is one of the only two states that does not observe Daylight Savings time (Hawaii is the other). The only place in the country where mail is delivered by mule is the village of Supai, located at the bottom of the Grand Canyon. Arizona is one of the states that form the Four Corners, the only location in the United States where four states intersect at one point. The other three states are Colorado, New Mexico, and Utah. In Arizona, it is illegal for donkeys to sleep in bathtubs.